ScrubAir Vertical NOx Scrubbers are designed with many exclusive user-friendly features specifically for the client’s convenience and are proven to be the most economical and efficient technology currently available in the industry – very efficient for Bright Dip Tanks and Chem Milling processes. Eliminates excessive maintenance normally associated with multiple stage designs! 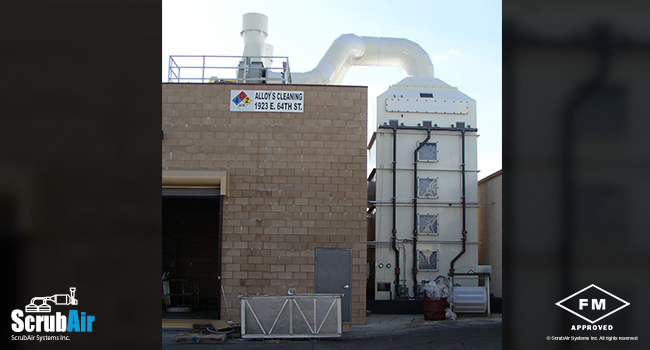 Greatly reduces chemical addition required to control NOx emissions. Reduces excessive cost associated with multiple-stage systems. 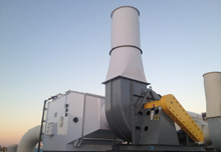 Is guaranteed to eliminate visible emissions per the Federal EPA Opacity/Emission Mandate. Is fabricated from 1/2” thick reinforced white or grey PVC – this system can also be built from FRP upon request, but the cost is significantly greater. Is designed for 250-300 feet per minute velocity. Lantec Products® Q-Pac® random polypropylene random dump pack. Kimre® 2-Stage composite mesh pad mist eliminator which will remove mist particles as small as 2 microns in diameter at 99.3% efficiency. Spraying Systems® and Bete Fog® non-plugging spray nozzles. 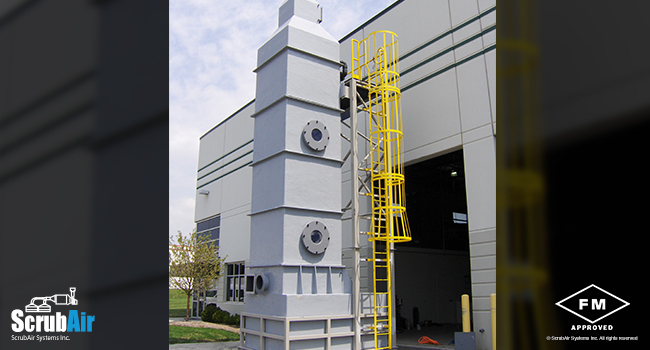 Serfilco® seal-less vertical recirculation pump – 12 GPM per square foot of surface area. Clear hinged and bolt-on doors with convent spin-off knobs designed to allow access to all components of the unit. Two Magnehelic gauges designed to monitor pressure drop across the mist eliminators as well as the overall scrubber. Sump with level control, overflow and drain. 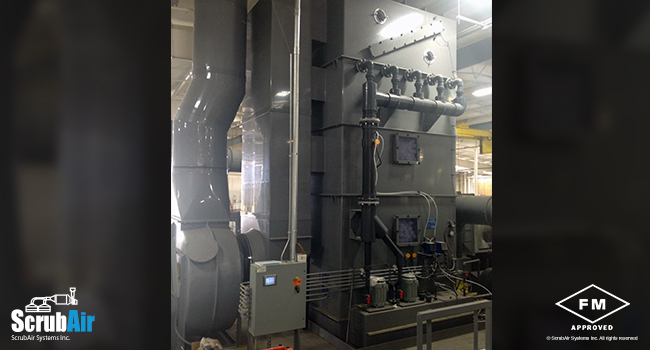 For more information about ScrubAir Vertical NO2 Scrubbers call us at (847) 550-8061 or contact us below.